Throughout history there’s been a variety of famous movie dogs of all kinds. 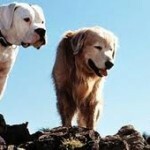 Some of the dogs mentioned below might just bring back memories because these are the top ten cool famous movie dogs. 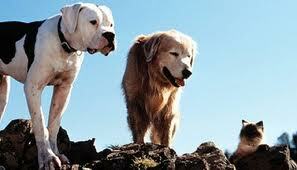 In the Homeward Bound movie Chance and Shadow became very famous. They feel as if they have been abandoned by their owners and they have decided to try and meet their family again along with their friend Sassy the cat. The owners only temporarily relocated. Chance was the American Bulldog and Ben was the Golden Retriever. Frank the Pug is also known as Mushu and in the movie he was an alien that took the form of the cute pug. Frank’s attitude is comical and he helped to reveal to both K and J that the galaxy was actually on earth. He had a big role in the second movie of Men In Black because everyone loved his performance. In the series Harry Potter Fang is known as the adorable big hound. 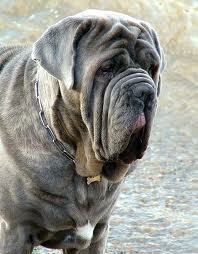 In the book he’s the Boarhound but when he was in the movie he was a Neapolitan Mastiff. Hagrid owned Fang and even though Fang was very big he was actually cowardly and timid. He can be protective of his friends when needed and can show courage. Spike was very successful in the movie Old Yeller. The ending of the movie was very sad but it was still a great movie. Spike was one of the main stars in Old Yeller and before he entered into the film industry he was also a popular rescue dog. He was a Labrador Retriever Mix plus a Mastiff. He was first rejected for the Old Yeller role because people thought he appeared to be domesticated. Frank Weatherwax had to train him so he looked more vicious. Benji was well trained and he was also very intelligent. He picked up tricks quickly and everyone loved him. His role was one of a lone dog that needed to use his brains often in order to survive and he decided to become friends with many people. He had wonderful facial expressions and emotions. Oprah even named Bengie as one of her favorite on the screen animal dogs. A loving family owns the big dog that slobbers all over the place known as Beethoven and he’s a St.Bernard. The movie was popular and there are still many fans that love him. Chris is the one that plays Beethoven. Sadly, back in 2002 the original Beethoven died and they had to replace him in the other movies. 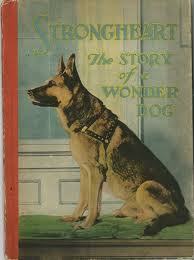 Strongheart was a famous German Shepherd that was in the 1921 movie “The Silent Call”. Before he was famous in this movie he was a trained police dog. He was raised to be both fearless and fierce. Laurence Trimble was the one that discovered him and he had to also retrain Strongheart for many months before the dog was able to let go of his attack habits. Rin Tin Tin is a famous German Shepherd that was picked from Lee Duncan during the war in France. He was first put in an experiment with the camera because he was able to jump high in the dog show for the jump exhibition. The “Man from Hells River” was his first movie then he was picked for Rin Tin Tin. The Warner Brothers prized him so much that Rin Tin Tin had his very own chef and plus he cooked him steak to help with digestion plus listened to music when he ate. them as big as this one. Later on he retired and was the family pet to the Spitz family. In 1994 Toto died but his autobiography was later on published. Lassie might just be one of the famous dogs in the history of movies. Eric Knight first had her in a character that was a short story novel and then the novel started became a famous movie and then later series. In the movie Lassie gets sold because of the family having financial problems. Later she escapes from the new owner and travels a long way in order to try and get back.